There's an Idea Here for Everyone! Last week in the Fall in Love with Texas blog hop I shared something with y'all that maybe you already knew and maybe you didn't. I'm very average. By that I meant that I will never be the girl who does things over-the-top and I'm ok with that. Seems like that spoke to lots of you and I'm glad we are in this together. Just in case you missed something I want to backtrack a little with a recap from the blog hop. You might see something that really inspires you. I know I did!! My Lone Star sisters are talented people! 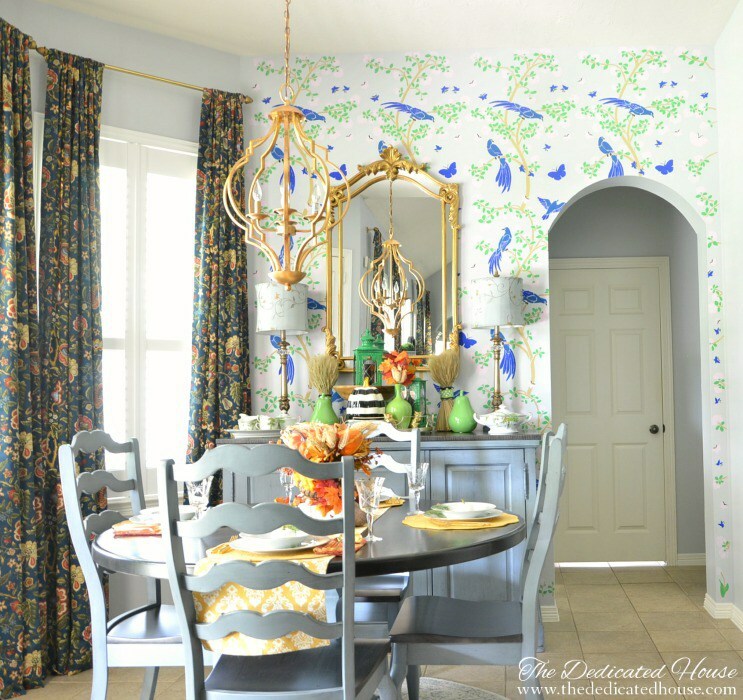 At Botanic Bleu, Judith shared how she added fall to her country French home. I love the wide angle shots of her rooms. 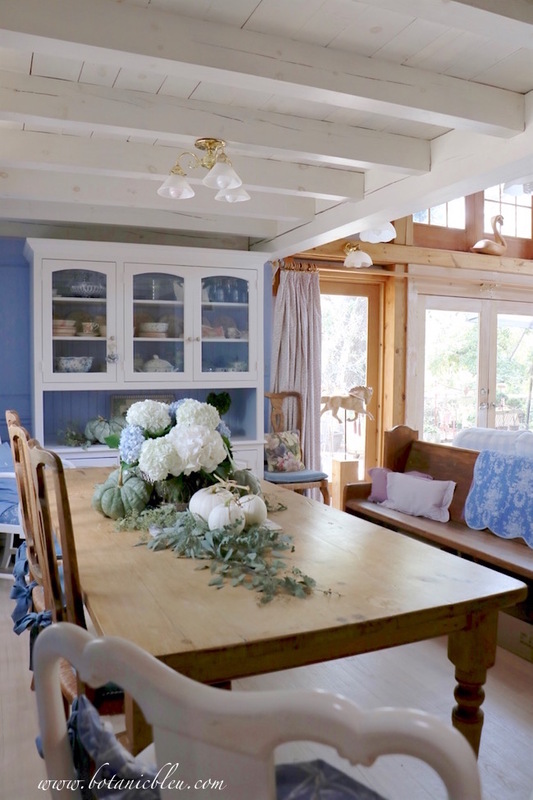 Visit Ash Tree Cottage to see Susan's gorgeous South Texas home. She might be in Texas but her home is filled with quaint touches that should be in a magazine. 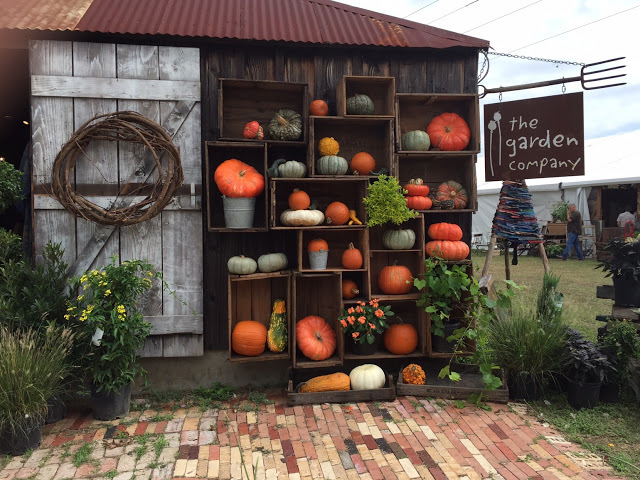 At Hyacinths for the Soul, Sarah shared her amazing home along with some of her favorite shopping spots at Round Top and Marburger. The porch at Our Home Away from Home catches my attention in every season where Maria Elena features different pillows and fun touches. She also shared the interior of her home that is just lovely. Eilis at My Heart Lives Here has one of the prettiest houses ever and she fills it with wonderful furnishing and things she makes herself. Don't miss her porte cochere where you'll want to sit a spell. 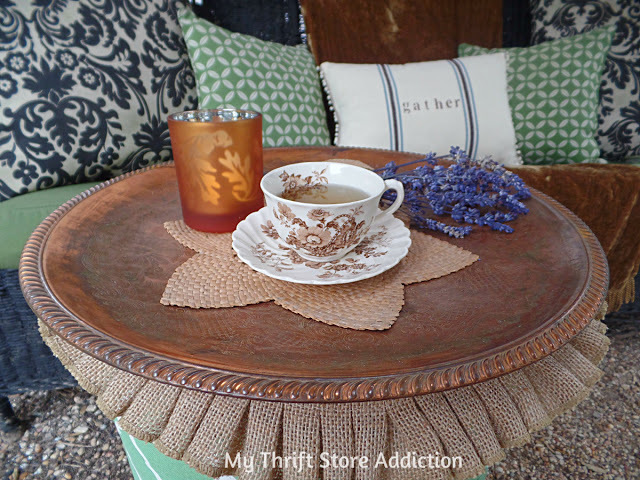 Cecilia at My Thrift Store Addiction decided to give the boho look a try and create a fun fall retreat. 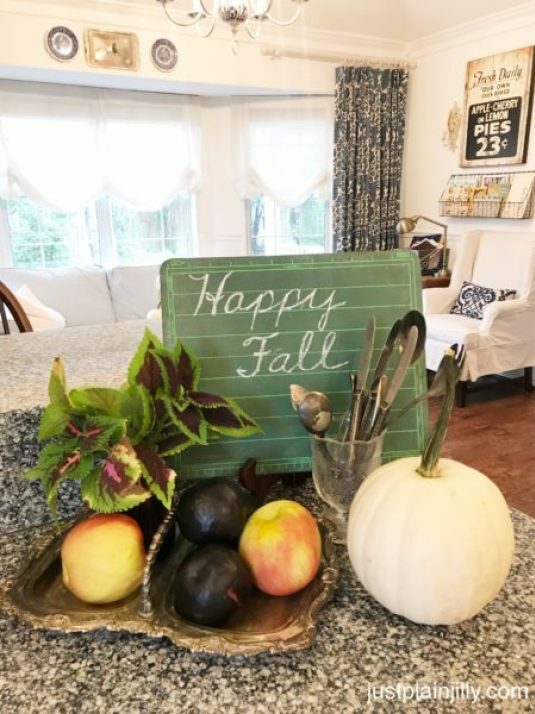 Carol at Bluesky at Home added fall to her home with aqua! I love it! There's always something amazing cooking at Estelle's and this time Betsy made Caramel Apple Pie to go along with her fall tour. Thankfully, Kathryn at The Dedicated House and her family made it through Hurricane Harvey safely and with their home in tact. She shared her gorgeous eating area, which was made over in the last One Room Challenge, dressed for fall. An old school slate was the perfect accessory for this retired teacher's home at Just Plain Jilly. The limestone and decor at County Road 407 is gorgeous! Do you love sweet and salty snacks? Kitty and her granddaughter have a fun idea for you. 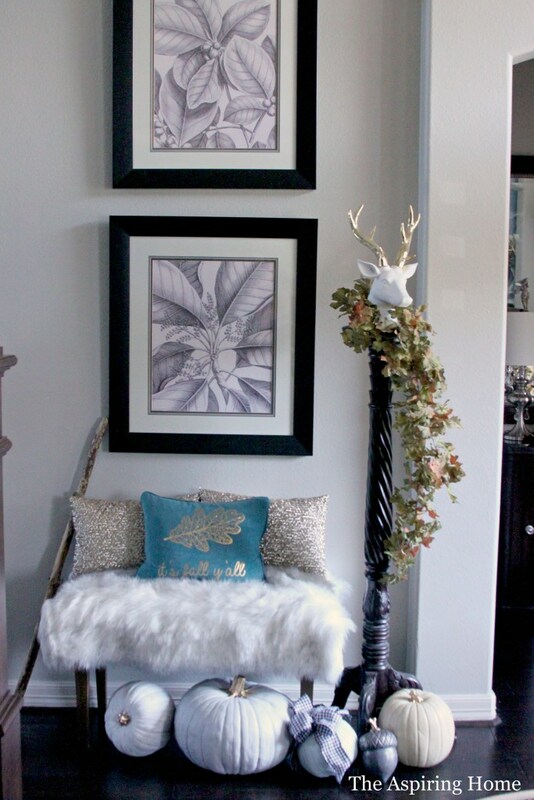 Joy loves a little bit of art deco mixed in with her fall decor. 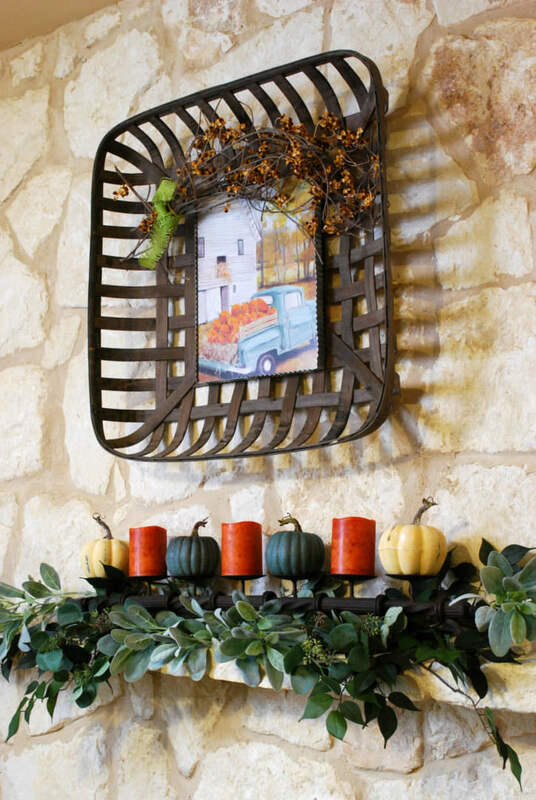 Be sure to visit her pretty home to see how the rustic touches of fall can mix with a little bit of glam. 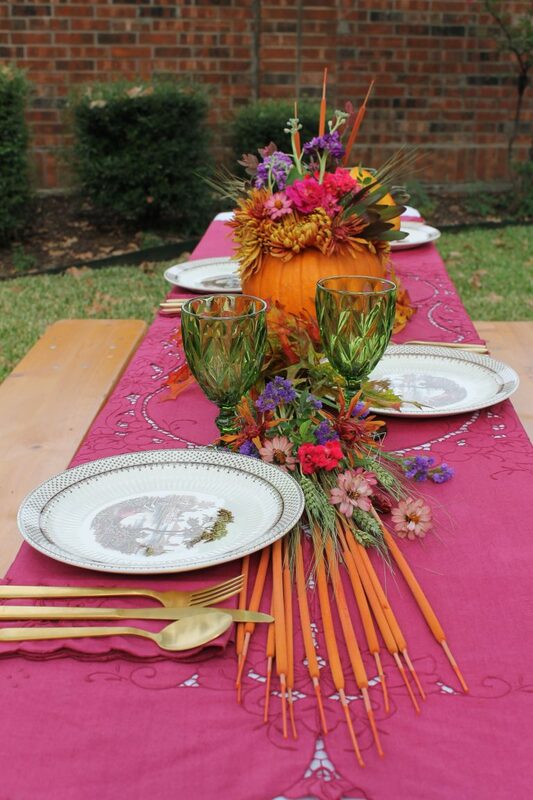 A beautiful table is set in the backyard at Decor to Adore where Laura shared her early fall garden. I showed you the simple but pretty ways that I added fall to our home while it's still 90 degrees outside. Thanks, Stacey for the recap of a great week from the Texas gals. Everyone is so creative. It truly was a grand tour of talent, yourself included. Thank you so much for helping to organize the event. 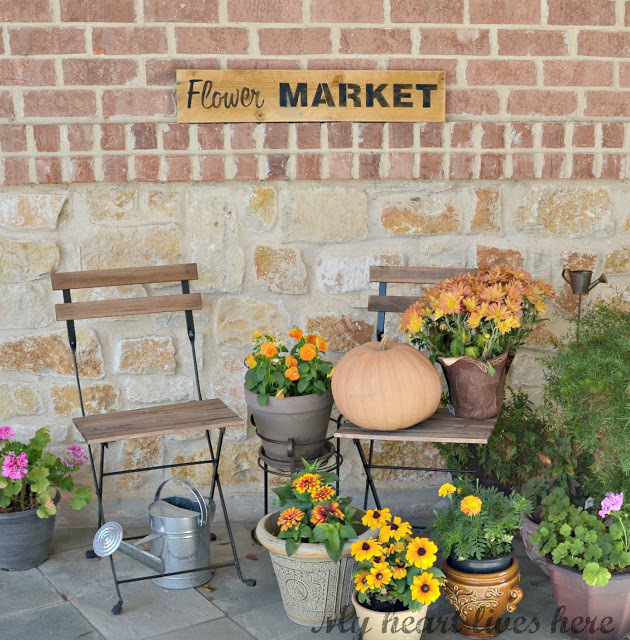 Love seeing all these in one spot, loved Maria's porch and Joy's white pumpkins! But you my dear are never average, I happen to think everything you do is spectacular and just right!!! Great selection of images, really love the one from botanic bleu. The last comment made me chuckle and I think there is some good news headed our way as the 80's and maybe even 70 degree weather is headed our way. Great recap sweet Stacey!! Every photo is inspirational. Have a great week! Oh I love your recap. I so wish I could have jumped on board with the blog hop. Hugs and blessings sweet lady. So much inspiration in these photos. I can appreciate "average", or I actually prefer to call it "normal". While we all love to ooh and ahh over gorgeous vignettes and table settings, let's be honest...who lives like that? 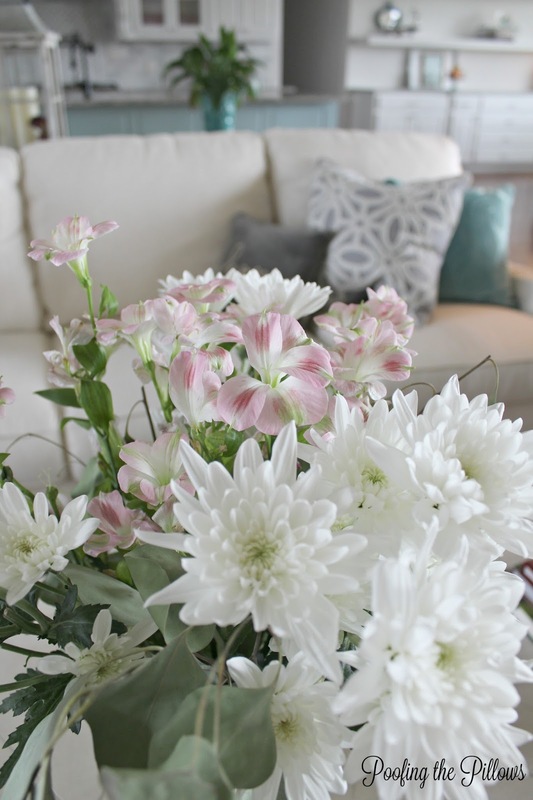 I am all for setting a pretty table for company, but I am not going to haul out dishes, candlesticks, vases, flowers, table linens, set a table and take pictures just for the sake of a blog post. Maybe if it were my "job", as in I got paid to do it, but otherwise no. I personally feel there are more productive things to do with my time. About the time I put together a gorgeous fall setting, I have a 70 lb Golden pup who is just as eager to dismantle it. I know the same goes for many with little ones or grands that visit. So yes Stacey, I appreciate average! I think I visited most of the hops on the tours each day, and I was very impressed and inspired! Thanks for the recap! My goodness you Texas girls are talented!! Yes, you are one talented group, my friend! That last photo is gorgeous too. Thanks for featuring all the links in one place! Hope you have a wonderful week! Stacey, you're tops in my book. I really appreciate the real-life appeal you bring to blogging. Thanks for keeping it real, and thanks for this great roundup. I missed a few, but did get to most of them. 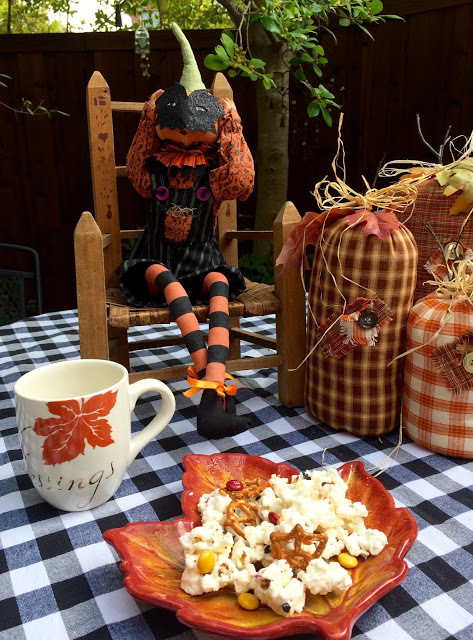 LOVE all the Fall goodness you shared here dear! Truly inspirational! Stacey, I like that you are so genuine and personable! Thanks for the fabulous recap! Thanks for the great round-up of all the Fall in Love with Texas Blog Tour. Everyone's style is uniquely her own which makes blog tours so much fun. There is a little something to appeals to everyone. One of the things I love about blogging is our friendships, but another thing I love is the chance to share a little creativity. I need more than the basics in my life; I need things that are beautiful to feed my spirit and soul. Reading blogs is one of the ways that does that. Thanks for your friendship, and for encouraging everyone who crosses your path. Oh my...you are ALL so talented and stylish! I did get an idea that I can use too. I just bought a little slate that I can write on! I think I'll write Happy Fall...keeping it simple! Hugs! Stacey, you Texas girls are all so talented, and sweet I might add! And you, my friend are far from average! Thanks for sharing the blogs again, Stacey. Sometimes there are so many to visit in a day or week it gets overwhelming. You girls are good...off for a better look. I had so much fun being part of this wonderful blog hop. So much inspiration and talent found in every blog. So glad you did a recap, Stacey. There were many I didn't have time to get to but I see a couple I must visit! 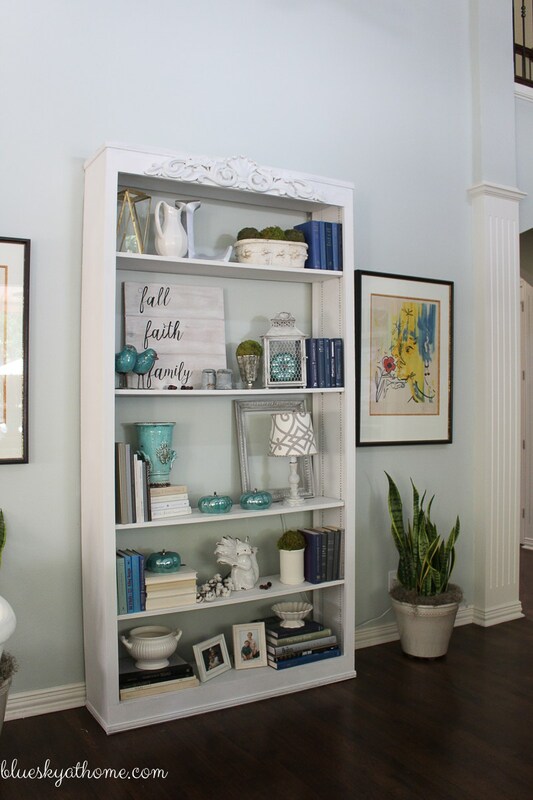 I so loved this "hop" ... all of the decor and recipes and projects and travel were easy to achieve...looks that all of us could accomplish...this is what speaks to the heart of so many! Awesome round up! 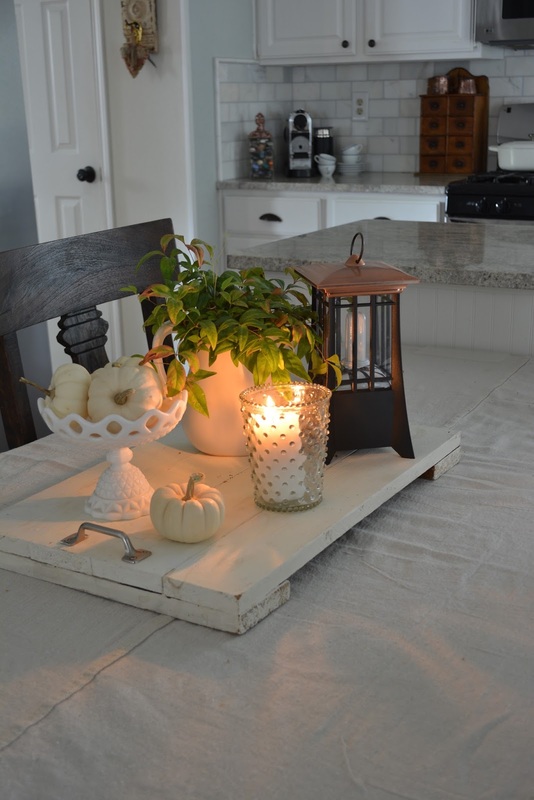 I'm visiting and sharing such wonderful Fall decor inspiration. Thanks! Well, if you’re average, then that’s what I want to be ;). You have such a gift for finding beautiful vignettes! I'm going to try to make my way through all of these this week :) xo! So much inspiration! Everyone's home is so pretty and all look magazine worthy to me. I really love the way you made a point to "revisit" each blog hopper, Stacey - and shed the light once more on some very special things about each one. Many of those hoppers I read regularly - but because you highlighted everyone I found a few whom I missed the first time around. Thank you for steering me in the right direction. You have such a wonderful blog - and a really amazing attitude about it. No wonder you are so well thought of, ma'am.